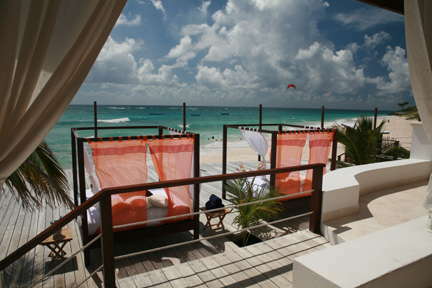 This secluded, gated community of contemporary-style condos at Silver Rock Beach operates as a trendy boutique hotel that appeals to singles, couples, and families—but especially to windsurfers and kitesurfers (and those who want to learn), as the island’s best beach for those activities is right out front. It’s always breezy here at the southern tip of Barbados, where the open water of the Atlantic Ocean meets the calmer Caribbean Sea. YOU SHOULD KNOW The hotel sits between the beach and a residential area, so there’s not much to do onsite other than to relax, sit by the pool, and enjoy the beach—unless, of course, you’re a windsurfer or kitesurfer. 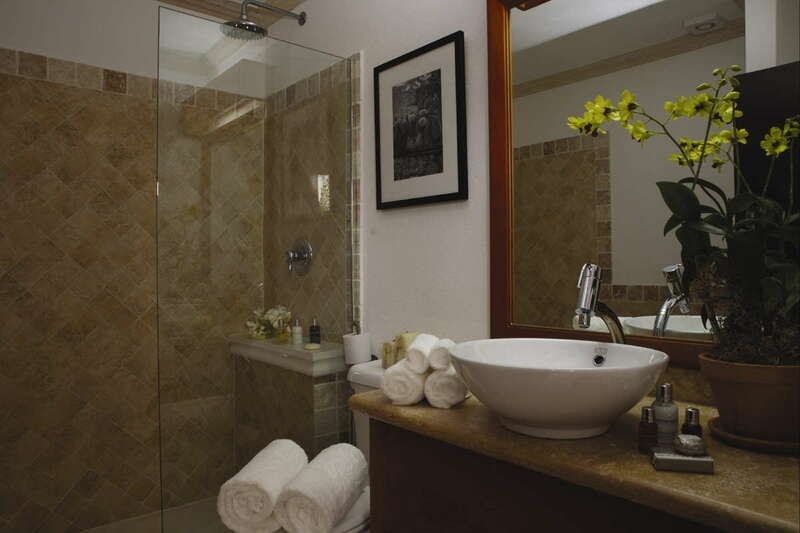 Suites are decorated in neutral colors with dark mahogany furnishings. Each has coral-stone accents, a cedar closet, and a private balcony or terrace. 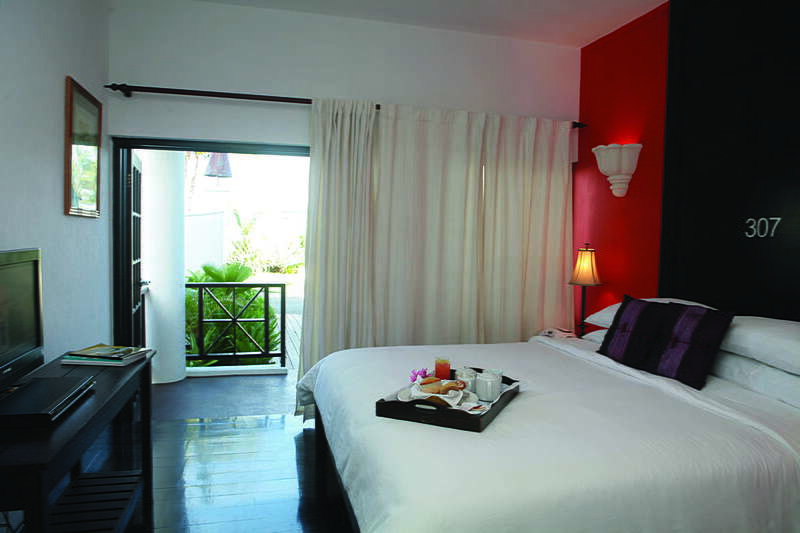 All units except for rooms with a partial ocean view have a small kitchenette with a fridge and microwave. 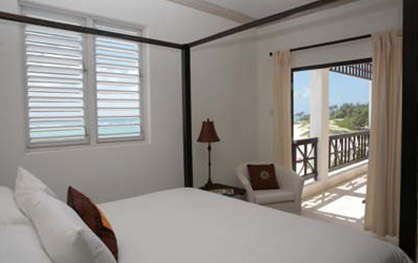 The one- and two-bedroom ocean view suites have separate sitting rooms and offer dramatic views—especially the top-floor rooms, which also have vaulted ceilings. 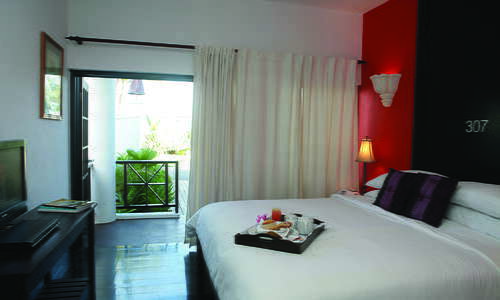 Bedrooms all have king-size beds and air-conditioning; sitting rooms have a queen-size sofa bed and a ceiling fan. Since the beach is the primary (only) attraction here, book an ocean view room rather than one in the back of the property facing the car park. 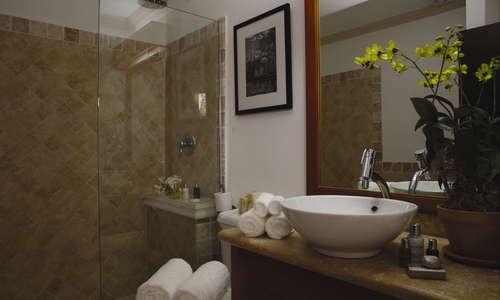 Bathrooms are large and modern, with marble tiling, walk-in rain showers, and vanities with granite counter tops and basin sinks. As this is a gated condo community, there’s no lobby to speak of—simply a front office. The hotel pool is not large but certainly suitable for a refreshing swim. The pool deck has sun beds and shaded cabanas. 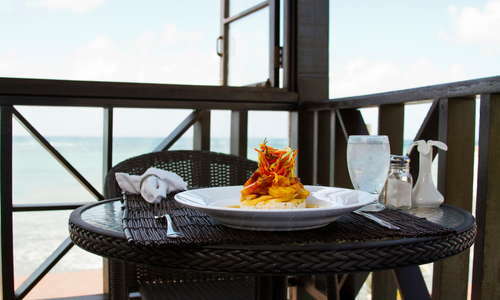 Meals at the alfresco hotel restaurant, which is adjacent to the pool deck, are good—Caribbean cuisine—but the menu is limited and a bit pricey. There’s a full-size fridge and a microwave in each room, so take a trip to the supermarket and stock up on breakfast items, snacks, and drinks. Mingle at the hotel bar over cocktails; enjoy evening entertainment in high season (December-April). 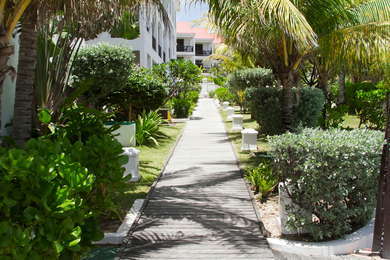 The hotel overlooks Silver Rock Beach, a beautiful broad beach with powdery white sand; but the sea is quite choppy and not great for swimming. Instead, head west to Miami (Enterprise) Beach in Oistins for calmer water. Silver Rock Beach is, however, the best place in Barbados for windsurfing and kitesurfing, with waves off the outer reef and flat water in the inner lagoon. deAction Surf Shop, which rents windsurfing and kitesurfing equipment and offers lessons, is right on the beach right next to the hotel. A rental car is almost a necessity, as Silver Point is not within walking distance of anything but the beach. The bus stops about a half-mile from the hotel, and taxis are always available upon request. The bus fare is $1 to any destination; the taxi fare to Oistins, for example, is about $10 each way; to St. Lawrence Gap, $15; to the airport, $15-$20. The Oistins Fish Fry (10-minute drive) is a must-do event on Friday evenings. All along the waterfront in this south coast fishing village, local folks grill fresh fish (and chicken for landlubbers), served with traditional Bajan sides. Seating is at communal picnic tables, servings are huge, prices are low, and music adds to the fun. The whole family has a good time. Café Luna (5-minute drive), the rooftop restaurant at Little Arches Hotel, just across from Miami (Enterprise) Beach, serves mouth-watering (and expensive) dishes at dinner; its three-course Back-to-Bajan menu is a good deal, and sushi is a specialty on Thursday and Friday nights. 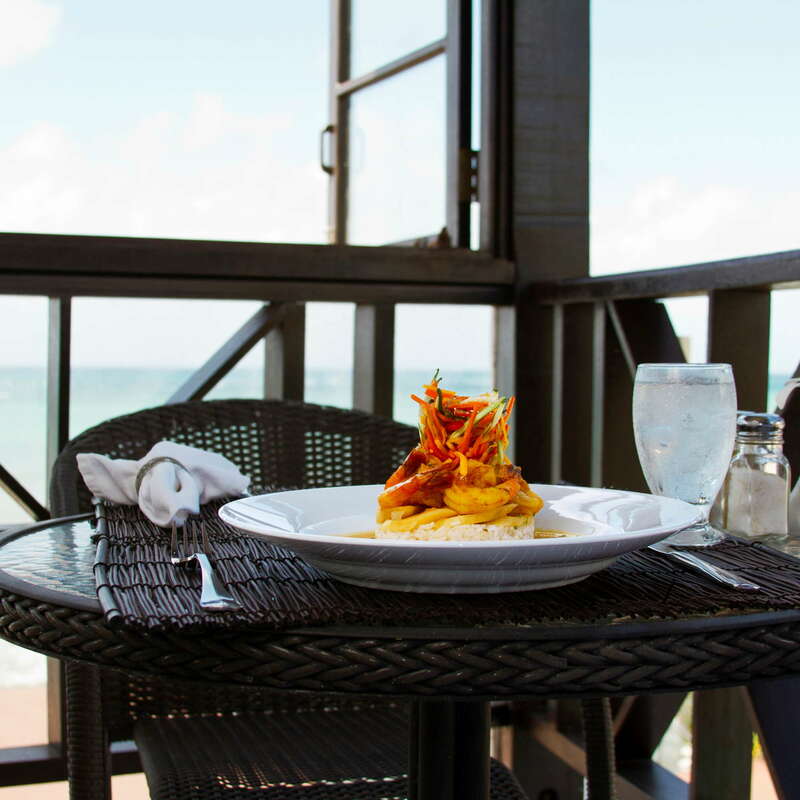 At St. Lawrence Gap, try Primo (15-minute drive) for delicious seafood and an excellent view or Café Sol (15-minute drive) for reasonably priced Tex-Mex food, tasty margaritas, and a lively atmosphere. St. Lawrence Gap has a lot of nighttime activity. Try The Old Jamm Inn or Scoopie's Jazz (15minute drive) for drinks, music, dancing, and a convivial crowd. Silver Point is perfect for those who prefer something chic yet secluded—and especially for those who like (or want to learn) to windsurf and kitesurf.